'Le Réve.' Little black evening dress with side bow and train,white shoulder straps and bandeau bodice top. 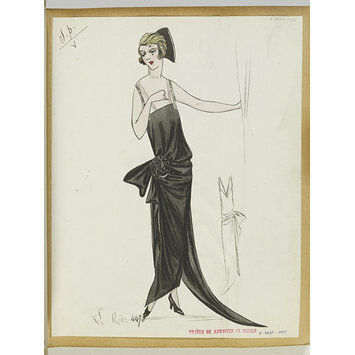 One of 381 fashion designs for Summer 1922 bound in volumes. Jean-Charles Worth. 'Le Réve.' Little black evening dress with side bow and train,white shoulder straps and bandeau bodice top. One of 381 designs drawn by S.P. 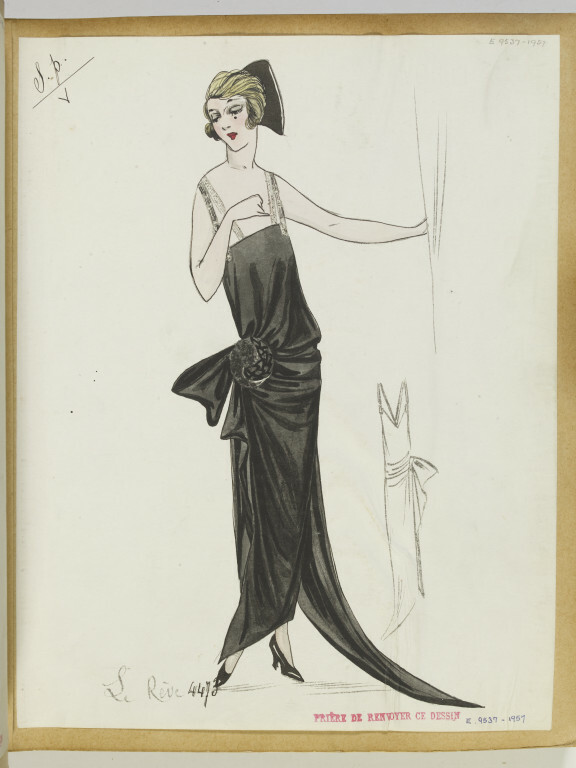 for the House of Worth, Summer 1922.